 The Miller Theatre Advisory Board (MTAB) acts as a steward of public and private funds to provide professional-caliber performances, free to the public, at the Miller Outdoor Theatre for the cultural enrichment of Houston’s diverse communities and the visitors to this great city. Houston’s Miller Outdoor Theatre in Hermann Park is unique in the United States, offering an eight-month season of professional entertainment that is artistically excellent, culturally diverse and always FREE of charge to the public. This is the largest “always free” program of its kind in the country. Miller Outdoor Theatre offers the most diverse season of professional entertainment of any Houston performance venue, and it’s all FREE! Classical music, jazz, world music and dance, ballet, Shakespeare, musical theatre, classic films, and much, much more are included in this year’s outstanding line-up. Relax in the covered seating area or enjoy a pre-performance picnic on the hillside. All performances at Miller are family-friendly! The theatre is located on approximately 7.5 acres of land in Hermann Park, site of the Houston Zoo, the Garden Center and the Museum of Natural Science. Seating is provided for 1,705 patrons and 20 wheelchair spaces, plus a sloping lawn that accommodates approximately 4,500 more on blankets or lawn chairs. Theatre structure – 64 x 41 foot stage; 54 line sets for hanging lights, curtains and scenery; an orchestra pit which can be raised and lowered; dressing rooms; offices; full complement of theatrical equipment; 110-ton air conditioning system cools the performance area. Gifts and Contributions made to Miller Theatre Advisory Board, Inc. support programming and theatre activities that assist in enhancing the audience and producer experience and help keep performances free.